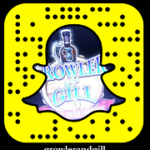 With 24 taps of fresh craft beer and hundreds of bottles of the finest beers from around the world right here in Nanuet, NY, Growler & Gill is the perfect destination for devoted beer enthusiasts as well as newcomers to the pleasures of craft beer. Our establishment is aptly named; you’re invited to sample our selections on-premise in a “gill”—the British equivalent of a 4-ounce glass and fill up a “growler,” a 64-ounce glass refillable jug. Stop in and enjoy a pint, have a cold bottle from our coolers or mix a six-pack of your favorite microbrews to go. Not surprisingly, our bar menu was created with beer in mind— a delicious twist on traditional pub fare that pairs perfectly with every craft beer we serve. Stop in and visit us to see what all the buzz is about and why Growler & Gill is the destination of choice for craft beer lovers in the Tri-state area. Our group of “Beer Geeks” is extremely knowledgeable about craft beer. They are dedicated to serving customers and answering any questions they have about beer. We have certified beer cicerones on our team of Beer Geeks, as well as experts in home brewing. “We went there last weekend for the first time for my husbands 30th! They have great apps (cheese n meat trays, and pretzels to name a couple) some food choices were: pizzas, pulled pork sliders, and yummy things like that! Great place- helpful friendly staff- that really LOVE what they do, which makes everyone else love it too! can’t say enough good things about this place!” Colleen K.